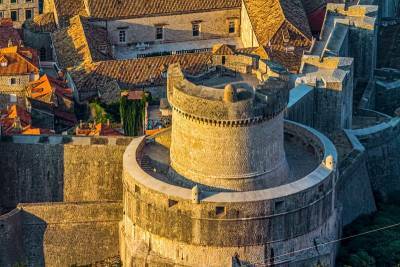 The Old Walled City or Old Town Dubrovnik is the main tourist attraction for those who visit Dubrovnik. You can easily walk the entire Old Walled City by yourself, but you can also join a walking tour such as Dubrovnik Walks. The most popular way to enter the Old Town is by the draw bridge over the old moat at the Pile Gate. 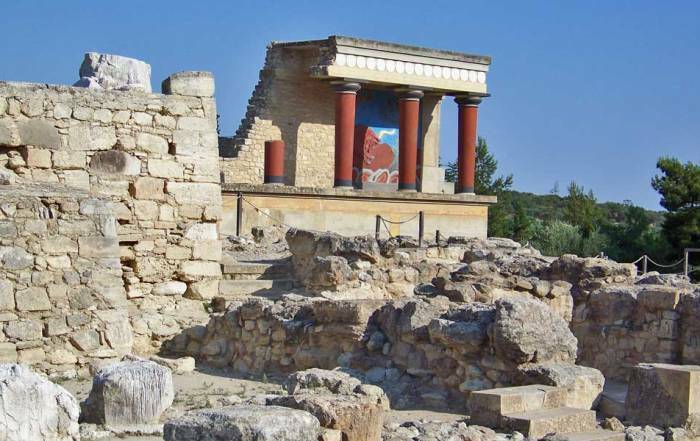 Immediately after passing through the Pile Gate, you arrive at Onofrio’s Fountain. Touch the head of a figure on the fountain for good luck. Immediately on the left after passing through the Pile Gate is the access to the City Walls. Beside the City Wall entrance is the Church of the Holy Savior and the Franciscan Monastery with its Old Pharmacy Museum. The pharmacy has been open for 700 years. As with many places in Europe, the tickets to walk the Old City Walls are sold behind you instead of at the entrance. You can walk more than a mile on the fortification walls and look down on the old town of Dubrovnik as you stroll. The walls were built in the 1200s and 1300s to protect the city. Stops include Fort Bokar, the Minceta Tower and St. John’s Fortress. You can also see Fort Lovrijenac and Fort Revelin beside the walls. Next head east on the Stradun, which is also called Placa Street. The Stradun stretches in a straight line from the Pile Gate to Luza Square. 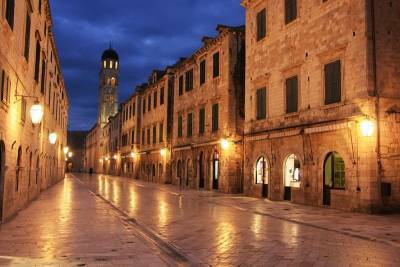 Every tour group that visits Dubrovnik walks along the Stradun, so be prepared for lots of tourists. The Bell Tower at Luza Square helps you keep track of your direction. About midway down the Placa, on the north and just off the street, is the War Photo Museum. 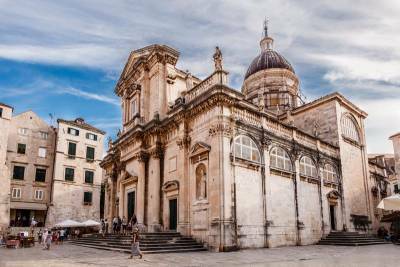 At the east end of Placa Street is Luza Square, where you will find the 1600s statue of St. Blaise, St Blaise Church, the city Bell Tower and Sponza Palace. The Sponza Palace was started in 1272 and was the seat of the former Republic of Ragusa in the 1500s. The Memorial Room of the Defenders of Dubrovnik is in Sponza Palace and displays photos of those who died in the Croatian Civil War from 1991 to 1995. 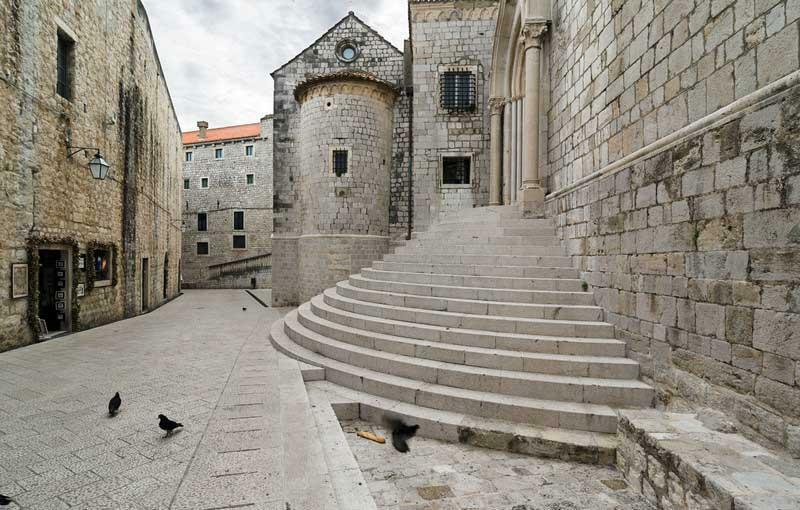 The Dubrovnik Summer Festival uses many venues in the old walled city, such as the Sponza Palace. Timing your visit for the festival isn’t too hard. The Dubrovnik Summer Festival lasts more than 5 weeks. From Luza Square you can head to the northeast corner of the Old Town and the Dominican Monastery. The Ploce Gate leads out of the Old Walled City here. Also from Luza Square, cut through the narrow passageways to the Old Harbor. Spend time at a cafe in the Old Harbor or walk along the water. The Maritime Museum and the small Dubrovnik Aquarium are found here at the base of St John’s Fortress. From Luza Square head south a few steps to the Rector’s Palace and the Dubrovnik Cathedral, which was started in the 600s. You can then wander through the narrow walkways to the public market at Gundulic Square. A statue of Gundulic marks the center of the square. Continue straight south from Gundulic Square to reach the Church of St Ignatius. 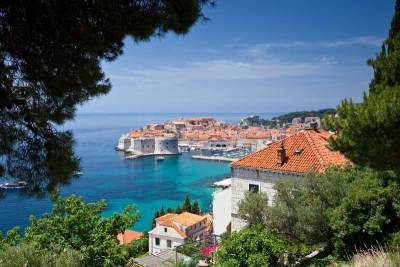 Hotels are very reasonably priced in Dubrovnik. 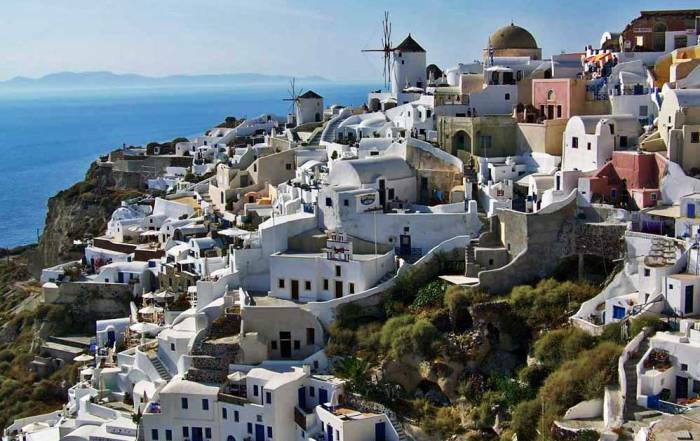 Consider a resort on the waterfront along the coast or an apartment inside the Old Walled City (Old Town). Take a half day trip to Cavtat, the Ljuta River and the Konavle region. 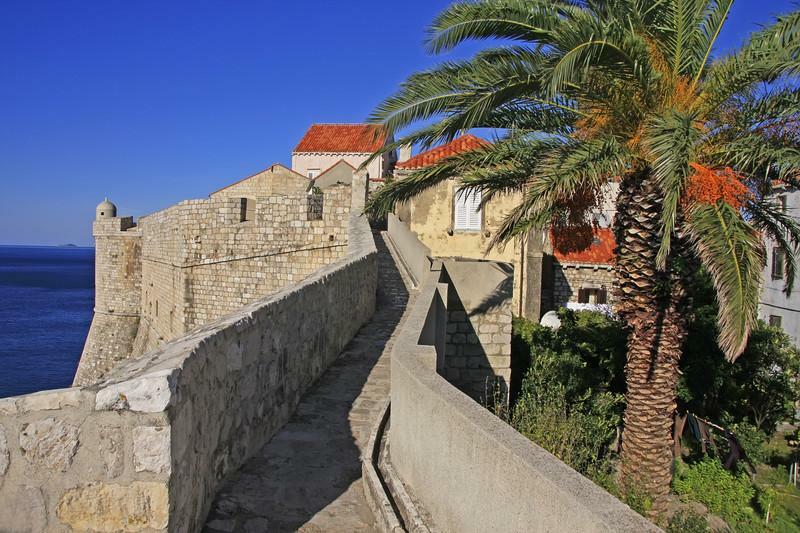 Visit the Old Town of Cavtat and its churches. See an original working water wheel on the Ljuta River. You can catch the Dubrovnik Cable Car just a couple of blocks outside the Old Walled City. 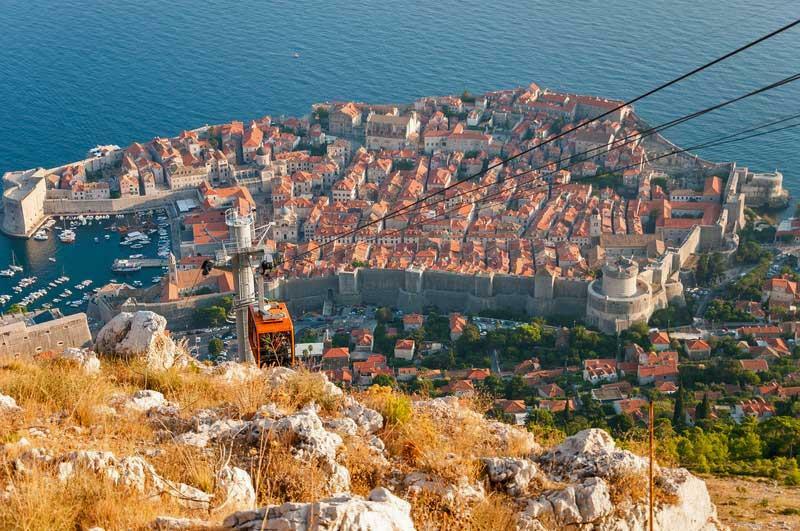 Ride the Dubrovnik Cable Car to Mount Srd for views over the city. The Croats held off the Serbs at Mount Srd in the early 1990s and the Imperial Fort there was started by Napoleon. Visit the Museum of the Croatian War of Independence. Have a meal and enjoy the views at the Panorama restaurant. 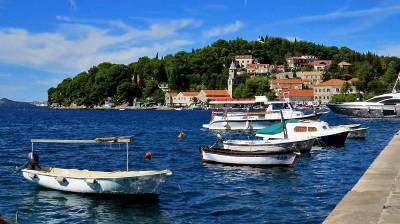 Take a short ferry ride from the Old Harbor to the island of Lokrum. 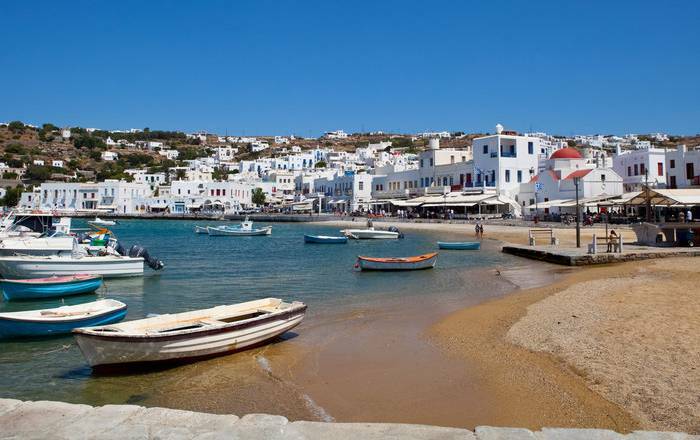 Stroll the island, listen to the cicadas and spend time in a cafe. Banje Beach is very popular. This beach a short distance outside the city walls east from the Ploce Gate. Rent a kayak at the beach. Copacabana Beach is located in the new city. Catch views of the Dubrovnik Bridge from the beach. Ferry to the island of Lopud and avoid the tourist crowds of Dubrovnik on this tranquil island. Ferry for a couple of hours to the island of Mljet. Wander the parks or rent a bike. See the monastery. Take a day trip ferry ride to the fortressed medieval town of Korcula, where Marco Polo was born. Take a day trip to Montenegro. See the Konavle Valley and Kotor. In Risan, visit the Church of Our Lady of the Rocks on a small island in the bay. Take a day trip to Bosnia and Herzegovina. Visit sites such as the the Haji-Ali Mosque and Sahat-kula in Počitelj, the Old Bazaar and Turkish House in Mostar or the Bascarsija Bazaar and the Latin Bridge in Sarajevo. Have Croat wine & cheese, loza and travarica brandies or a Ožujsko lager in the Old Walled City. Try D’Vino Wine Bar. 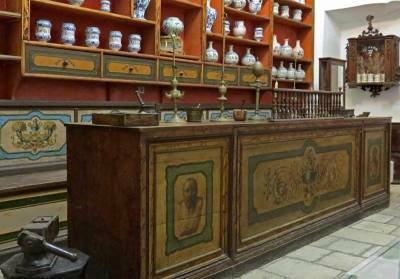 Café Buza – look for a small hole in the old town wall near St Ignatius Church. Step out on to the waterfront cliff side cafe with views to Lokrum Island. Nautika – Try lopud brodet or cream of scampi soup with black truffle. Nautika is on the water near the Pile Gate with views of Fort Bokar, Fort Lovrijenac and the Adriatic Sea. Villa Dubrovnik – Try goose-liver terrine. This waterfront restaurant is a few minutes southeast of the Old Town and has lovely views back to it. The elevator entrance down from the street is quite unique. 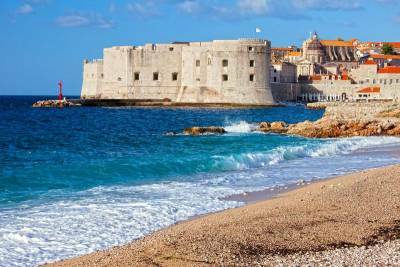 Hotel Dubrovnik Palace – a 5 star hotel located on the waterfront a few minutes from the Old Town. You can get to Dubrovnik from the Dubrovnik International Airport, which is is about a half hour south of the Old Walled City. Buses run regularly from the airport to the downtown area. 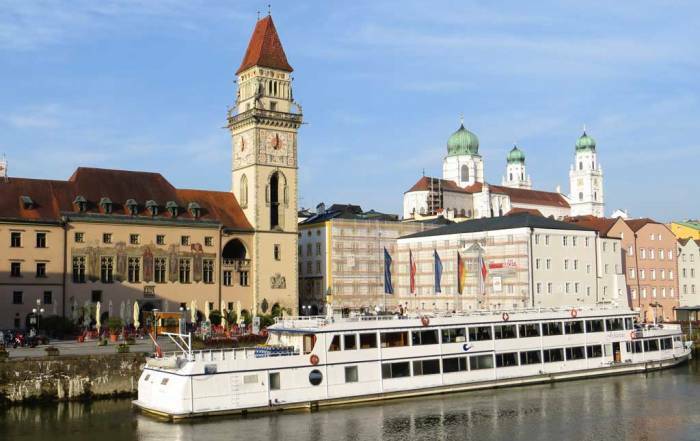 The cruise ship terminal is located at the north end of town and is about a 45 minute walk to the Old Walled City, so take a taxi or a bus instead. Once you get to the Old Walled City, everyone walks to all the sights and attractions because vehicles are not allowed in the Old Town. The Dubrovnik weather in summer makes it a popular tourist destination. From June to September expect average highs around 27 C (80 F) and little rainfall. Average lows in the summer are about 20 C (68 F). Winter has slight rainfall with highs of around 13 C (55 F) and lows of 6 C (43 F). The great weather attracts so many tourists that it’s difficult to get past the crowds to visit Dubrovnik in summer. 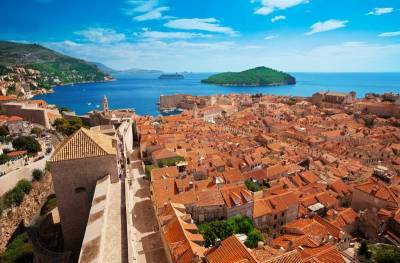 Spring and fall are likely the best times to visit Dubrovnik, because there are fewer tourists at that time. 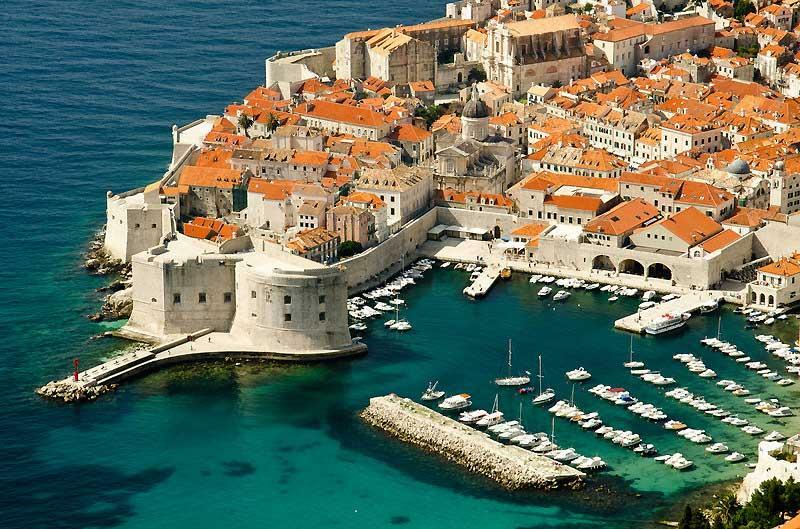 Dubrovnik is on the Dalmatian Coast of the Adriatic Sea. Only about 50,000 people live in the town on a full time basis. Dubrovnik is only a few miles from Bosnia & Herzegovina and from Montenegro. 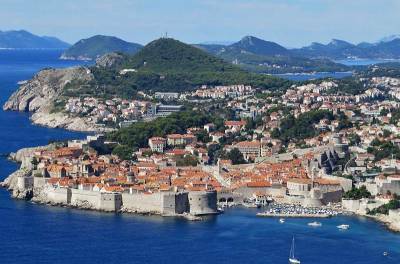 The town of Dubrovnik shows influences of the Byzantine Empire, Venice, Hungary and the Ottoman Empire. From the 1500s – 1700s, Dubrovnik flourished as the Republic of Ragusa. Napoleon took control in the early 1800s, followed by the Hapsburg Empire and then Yugoslavia. When Yugoslavia dissolved in the early 1990s, Dubrovnik came under attack by Serbian Slavic forces. Buildings in Dubrovnik show signs of mortar and gun fire today. 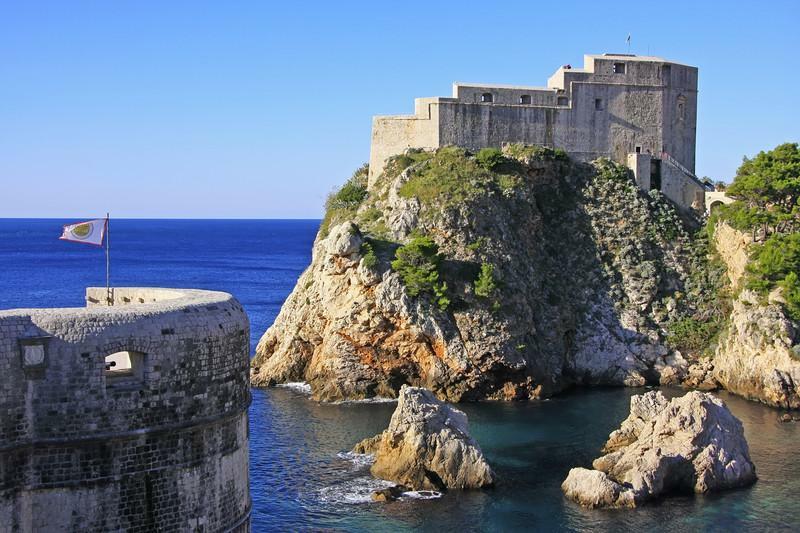 The war ended in 1995 and Dubrovnik quickly became a booming tourist town with a steady flow of cruise ship passengers..